The decision was announced following a recommendation made to President Sirisena by Justice Minister Wijeyadasa Rajapakshe. COLOMBO: In a politically significant act which could help him garner the support of Sinhalese nationalists, Sri Lanka’s President Maithripala Sirisena, on Thursday cleared the names of 19 Sinhalese chiefs who were officially branded as ‘traitors’ by the British rulers of the island 198 years ago. The President’s media division said that Sirisena cancelled a gazette issued by the then British Governor, Lt.Gen.Robert Brownrigg on January 10, 1818, listing the 19 leaders, including Keppetipola Disawe as traitors. “After 198 years, I cleared the names of Wellassa heroes including Monarawila Keppetipola,” President Sirisena said in a tweet. Hard line nationalists from the majority Sinhalese community have been pressing for the scrapping of colonial-era decrees against those who resisted British rule. Kappetipola was a prominent leader of the Uva rebellion of 1818 after he joined the rebels, who he supposed to suppress at the behest of the British. Keppetipola was a high-ranking official under the last Sri Lankan King of Kandy, Sri Wikrama Rajasinghe, and later under the British Administration in Sri Lanka (then known as Ceylon). 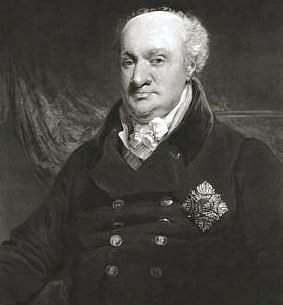 But within three years of the British take over of Kandy in 1815, Keppetipola started telling his confidantes that it was time the British were kicked out. 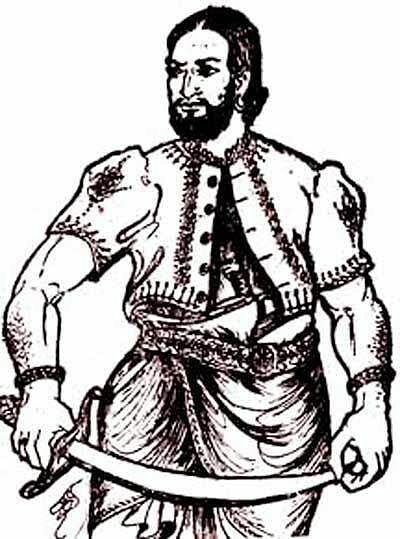 He was also in cahoots with one Dore Samy, a relative of the deposed last Kandyan King Wikrama Rajasinghe, who was roaming the Uva-Wellessa area organizing a revolt against the British. The British who were watching the Kandyan chiefs got wind of Keppetipola’s scheme and put a prize of 2000 pagodas on his head. He was betrayed and arrested. The rebellion was crushed by the British with the help of local Malay levies and troops shipped from India. Keppetipola Disawe along with several other leaders of the rebellion were found guilty of high treason and sentenced to death by de-capitation. Keppetipola is well known for the exceptional courage he showed at the moment of his execution. According to historian Paul E.Peiris, Keppetipola had applied for a commutation of the death sentence but when this was not granted, he faced execution by decapitation bravely. He prayed at the Temple of the Tooth in Kandy, owning that his fate had been determined by his karma. At the Bogambara grounds where the execution took place, he read from a small book of verses from Buddhist scriptures in the Pali language. He then handed over the book to his British friend, one Sawers, and asked him to preserve it. His head was not placed on block not was he blindfolded. He knelt and bent his head for the executioner to strike. The executioner struck, but could not sever the head with one stroke and had to do it again. The executioner took the severed head and placed it on his breast before handing it over to the British officers present. The bodies of Keppetipolla and fellow Mudugalle chief were buried on the banks of the Kandy lake and their skulls were subsequently sent to the Phenomenological Society of Edinburgh.